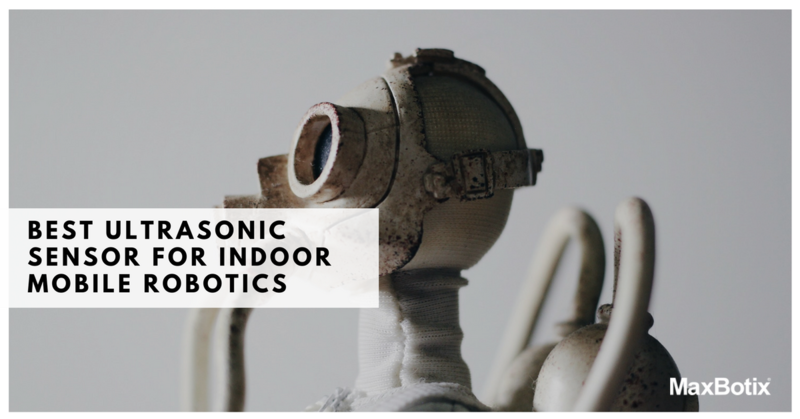 Best Ultrasonic Sensor for Indoor Mobile Robotics | MaxBotix Inc.
MaxBotix ultrasonic sensors are a favorite in the robotics community from high volume applications to the educational market. Unlike many other low-cost alternatives, we calibrate our sensors to minimize performance variance between parts of the same number. We offer a wide range of product lines to cover as many applications as possible, and we provide support in sensor selection, troubleshooting, and custom product design. Some of our most successful high volume clients benefit from using custom firmware on our standard hardware. Custom firmware and hardware design help optimally match our sensors to your specific application. As an additional benefit, users of custom parts have the option to approve and/or deny any firmware or hardware changes to their part. Even so, many designers choose to work with our standard sensors to create their application. Using a standard sensor in a high volume application does require an understanding of the operation of our sensors. The designer must anticipate potential issues and write programming to operate the sensors while considering these possible limitations. When handled properly, a standard sensor can be introduced into a high volume application gracefully. Using this approach, many designers have built our standard sensors into their applications with great results. Three of MaxBotix most popular sensors for collision avoidance on mobile robots are the MB1033 from the HRLV-MaxSonar-EZ line, the MB1030 from the LV-MaxSonar-EZ line, and the MB1240 from the XL-MaxSonar-EZ line. Photos of each are presented below. All three of these sensors mount in the same way. They feature an identical placement of the transducer and the mounting holes. Note that the MB1240 does have a transformer that protrudes from the back of the sensor but otherwise mounts in the same footprint as the MB1030 and the MB1033. For detailed mechanical data, please reference the corresponding datasheets (MB1033, MB1030, MB1240) or our 3D CAD files for various CAD programs. MaxBotix calibrates each sensor to provide consistent beam patterns and performance for every sensor we ship. Calibration of the beam pattern is important because the mechanical nature of ultrasonic transducers can cause a 3 to 1 variation in the detection zone. As such, other manufacturer’s sensors typically have inconsistent long-term results for high volume applications. Even as we design our sensors to operate from -40°C to +65°C, for most high volume applications it is very important to verify proper operation over the full normal operating temperatures in your application. Proper testing along with proper part selection, a foam insert if needed, and/or a custom calibration can eliminate most any anomalies from sensor mounting. The amount of ultrasonic energy returned back to the sensor from any mounting varies significantly with temperature changes. The ultrasonic sound from the sensor can be trapped inside of a chassis and reflect inside of the chassis and be returned back to the sensor causing a reflection at a given distance. For some applications, the sensor might operate normally at room temperature but readily detect the mounting or features inside the internal chassis when the environment is colder than 0°C or warmer than 50°C. The wavelength or the ultrasonic wave changes with temperature, and this causes corresponding changes to the reaction of the sound in the environment close to the sensor, such as the mounting environment. For this reason, we recommend testing the desired sensor over the full operating temperature range to verify proper operation. If an anomaly is discovered, selection of the best product, a foam insert, or a firmware change can help eliminate most issues. In all high volume applications, verifying proper operation over the full normal operating temperature range is strongly recommended. Proper testing over temperature can help identify any potential anomalies with detection of the chassis or mounting of the sensor. MaxBotix sensors are tested to operate normally over the full temperature range of -40°C to +65°C. NOTE: Each sensor line responds to changing temperature differently. The MB1033 and MB1240 sensors automatically operate normally over the full temperature range without any manual re-calibration. The MB1030 calibrates itself to the temperate it is at when it’s powered up. This allows the sensor to operate properly at any temperature. If the sensor remains powered and the temperature drops or raises more than 5°C, the sensor may fail to operate properly until the sensor is re-powered. We recommend removing and reapplying power to re-calibrate the sensor if the temperature changes. NOTE: Re-calibrating the sensor allows the MB1030 to operate normally over a wide range of voltages, temperatures, and mountings. NOTE: The user must be able to re-power the MB1030 sensor to re-calibrate the sensor. NOTE: The MB1030 sensor draws very little current, so many times it can be powered by a digital microcontroller pin. The MB1033 and MB1240 sensors automatically operate normally even if supply voltage changes. The MB1030 calibrates itself to the power supply upon power up. With a regulated voltage, this sensor operates normally. If the supply voltage drops or increases during operation, the power must be cycled off and back on to allow the sensor to calibrate to the different operating voltage. The MB1030 or the sensor line (LV-MaxSonar-EZ) is not recommended for applications where the supply voltages might droop or increase while the sensor is operating unless the user will recalibrate (re-power) the sensor. The MB1030 features a unique calibration routine on power up. This allows the sensor to learn the surrounding environment. The calibration helps to reject returns from the mounting and obstacles closer than 6-inches. Each time the sensor is powered up, it will learn the area around the sensor. Removing power and applying power allows the user to re-calibrate the sensor. This allows the user to use this part over a wide range of voltages, temperatures, and mountings. If an object is close to the sensor during power-up but not present in normal operation, detection of objects should continue. However, in this case, the sensor may not detect objects in the very close ranges as well as it could otherwise. The MB1030 and the MB1240 sensors, when pin 4 is brought high or left open, will report a range corresponding to the first return that is larger than the target threshold. Commonly, the sensor will detect an acoustic target within the field of view of the sensor. However, acoustic interference from an external noise source, such as another sensor, can cause the MB1030 or MB1240 to report an inconsistent/incorrect distance. When using multiple ultrasonic sensors in a single system, there can be interference (cross-talk) from the other sensors. Cross-talk happens when two or more sensors can detect the ultrasonic energy transmitted by another sensor. Cross-talk can limit the accuracy and reliability of a range reading. The MB1033 sensor features cross-talk suppression when it is continuously allowed to operate and is not commanded on and off. This sensor operates best when turned on and left on so that its internal filtering is allowed to operate. The MB1033 sensor can operate in applications with two or more sensors with minimal effects from cross-talk in many applications. In a multi-robot and multi-sensor environments, the sensor typically will continue to operate normally. The MB1240 and MB1030 do not have cross-talk suppression. It is strongly recommended to use commanded range readings when using multiple of these sensors. In a multi-robot environment, the sensor may detect the operation of sensors on the other robot. If more than one robot is allowed to operate nearby, then the other nearby sensors could be detected and, the sensor may report distances that are closer than the closest actual target. When any of the sensors do experience cross-talk from other nearby sensors, the range will always report a distance less than the distance to the actual target. Cross-talk can usually be identified by the sensor reporting a steadily increasing or decreasing range value that is closer than the actual target. It is important to understand that resolution is not accuracy. The MB1033 sensor provides millimeter resolution and will typically offer one percent accuracy in most applications. 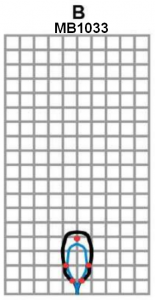 The MB1033 additionally offers target size compensation. 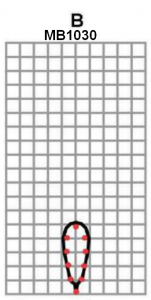 With ultrasonic sensors, the range reported to smaller targets in the sensor’s view is typically greater than the true distance. 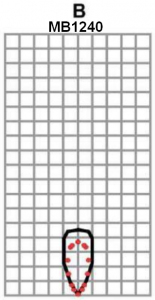 The MB1033 accounts for this phenomenon to provide accurate readings regardless of target size. The MB1240 sensor offers centimeter resolution. As the MB1240 does not offer temperature compensation for distance, the accuracy has not been characterized for this product. Users may notice a slight change in accuracy for targets detected in the close ranges when compared to distant targets. As the effects of target size are less noticeable with centimeter resolution, the MB1240 does not compensate for target size. The MB1030 sensor offers one-inch resolution. As the MB1030 does not offer temperature compensation for distance, the accuracy has not been characterized for this product. Users may notice a slight change in accuracy for targets detected at close ranges when compared to distant targets. As the effects of target size are less noticeable with one-inch resolution, the MB1030 does not compensate for target size. Another factor that affects accuracy is the speed-of-sound. The speed-of-sound in the air increases about 0.6 meters per second, per degree centigrade. The MB1033 sensor measures the temperature and compensates the range readings for changes in the speed-of-sound based on temperature. The MB1240 and MB1030 do not compensate for changes in the speed of sound and assume that the user is operating at room temperature. If temperature compensation is desired when operating with these sensors, contact MaxBotix and request the temperature compensation formula PDF. This will allow users to compensate for speed-of-sound changes. The MB1033 sensor features multiple advanced algorithms to reliably detect objects, including ones that are closer than the minimum reported distance. Targets are often reliably detected even when they are placed next to the front face of the sensor during power. 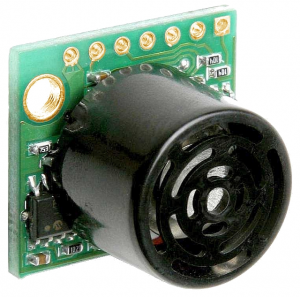 The MB1240 sensor utilizes robust output power to reliably detect targets at all ranges. The vast amount of energy trapped between targets at short ranges allows the sensor to reliably detect targets at distances even below the minimum reported distance. The MB1030 sensor compares readings to it on power-up calibration. This allows the sensor to detect differences in the waveform caused by targets at very close distances. While this allows the sensor to detect close targets, if the temperature, voltage, or environment changes, the sensors will need to be recalibrated by turning it off and on to restore proper performance. Additionally, do note that in multiple sensor environments, the MB1030 and MB1240 sensors will occasionally provide false closer readings that must be handled by the user. The MB1033 is best used in free run mode at a 10Hz rate. For most applications, this is the easiest sensor to use as it provides reliable range information for most applications without user concern. 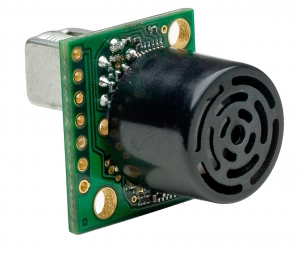 This sensor takes readings and reports the range at a 10Hz rate. In free run mode, the sensor uses past history to allow the sensor to provide reliable range information, yielding an effective 2Hz filtered range reading. This sensor automatically recalibrates for changes in temperature and voltage. This sensor gracefully handles most noise sources. This sensor accounts for changes in the speed-of-sound based on temperature. The MB1030 can be commanded or free run at a 20Hz rate. For many applications, this sensor has been used reliably. This sensor takes readings and reports the range at a 20Hz rate. The range provided is the range to the first ultrasonic return with a high enough amplitude to trigger the sensor. The reported range is often the return of the closest object in the sensor’s view. Users can use this sensor reliably, provided they understand the limitations and operational environment as well as filter out any unreliable sensor readings themselves and calibrate the sensor when needed. The MB1240 can be commanded or free run at a 10Hz rate. 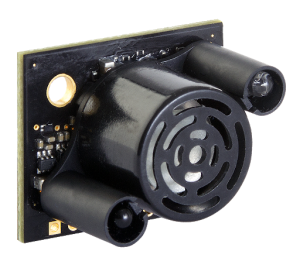 For many applications, this sensor has been used reliably and is especially robust in high acoustic noise environments, such as in UAV robotics. The high acoustic power provides reliable robust operation. Users can use this sensor reliably, provided they understand the limitations and filter out any unreliable sensor readings themselves. This infographic breaks down a few key points for each of our most popular sensors used for collision avoidance on mobile robots. MaxBotix ultrasonic sensors are a favorite in the robotics community from high volume applications to the educational market. 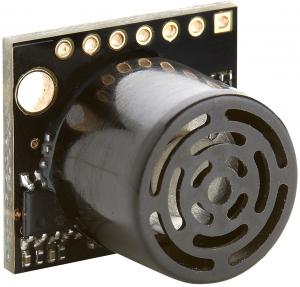 This article goes into selecting the correct ultrasonic sensor for your application. We go into the range of problems you can encounter and their solutions.